The Fading Charm of the Little Netherlands | What an Amazing World! 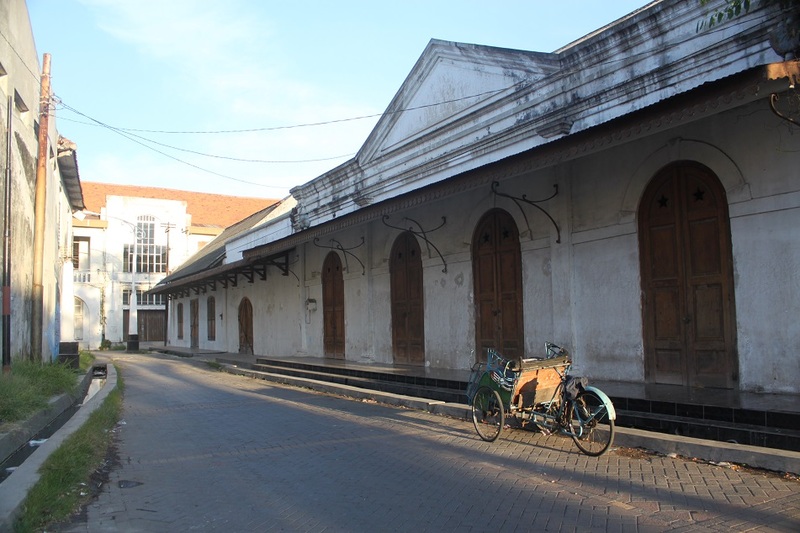 Semarang is known to have one of Indonesia’s most exquisite collections of colonial buildings. On a recent visit to my hometown I took the chance to do what I should have done much earlier, exploring Kota Lama – the old town quarter. Rows of Dutch buildings fill 31 hectares (77 acres) in what was once a fortified quarter called Vijhoek. 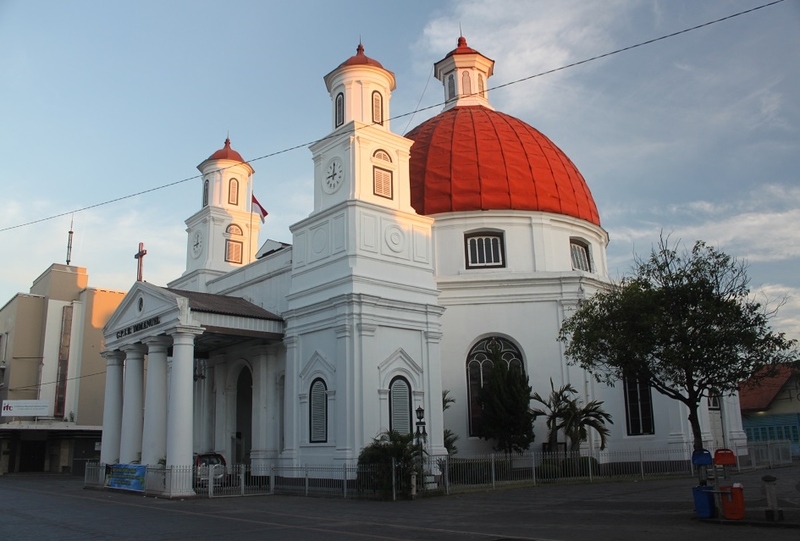 Tracing back Kota Lama’s history to its heyday in the 19th–20th century when this gated area was called the Little Netherlands, one would typically start from Gereja Blenduk, the old church which is a prominent landmark of Kota Lama and Semarang. 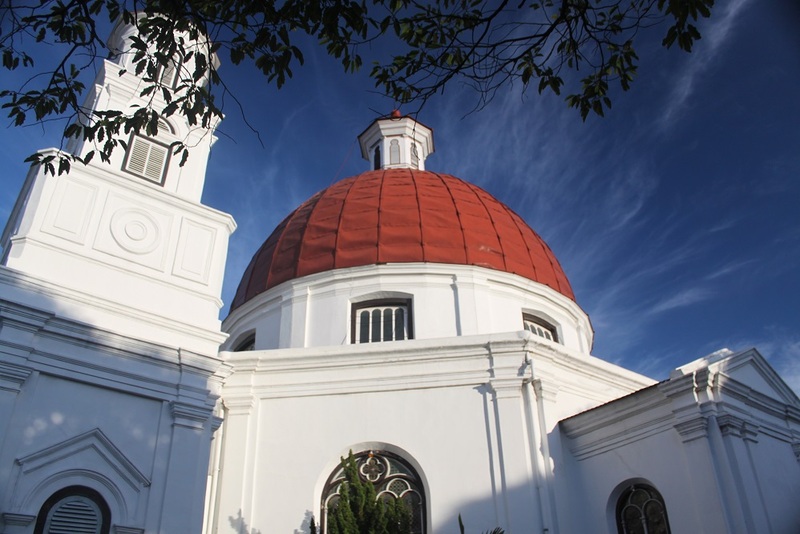 Owing its affectionate nickname from its copper dome (blenduk means dome in Javanese), the oldest church in Central Java has been in use since 1753. 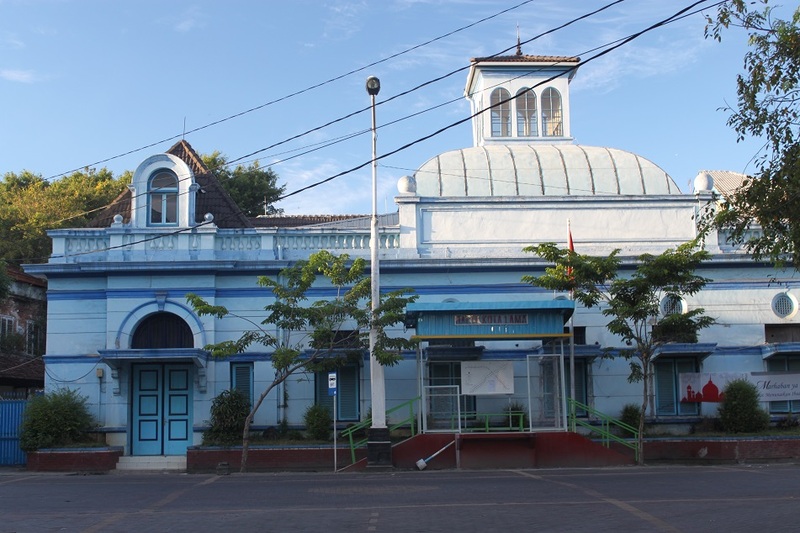 Meanwhile the former office of Nederlandsch Indische Levensverzekering En Lijfrente Maatschappij (The Dutch Indies Life Annuity Company), which was later used as the old city hall of Semarang, occupies a plot right across the church. Adjacent to it, a businessman turned the old courthouse for Inlanders (non-Dutch people) into a fancy restaurant. 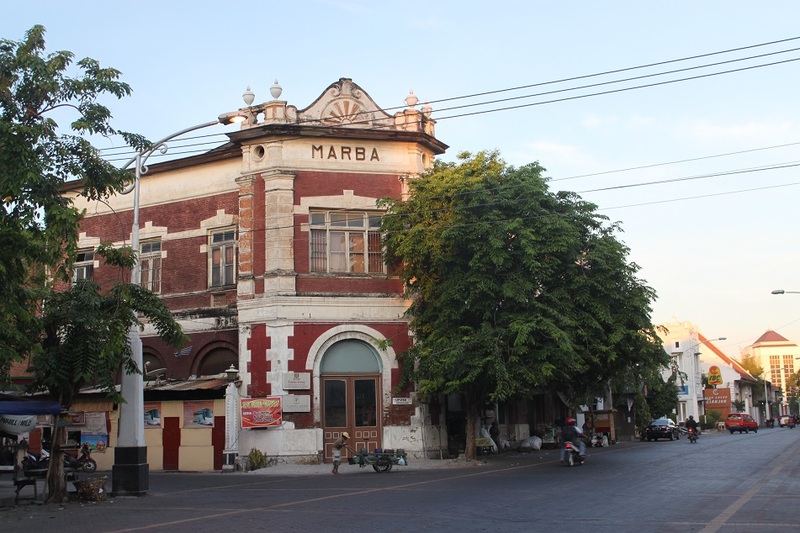 Due to its significance as the commercial center of the Dutch East Indies, Kota Lama attracted people from all over the world to do business, including a Yemeni merchant, Marta Badjunet, who built a beautiful red brick building named after her (MARBA – Marta Badjunet). Not only did businesses thrive; Kota Lama was also a center of intellectual and creative societies of the Dutch East Indies. 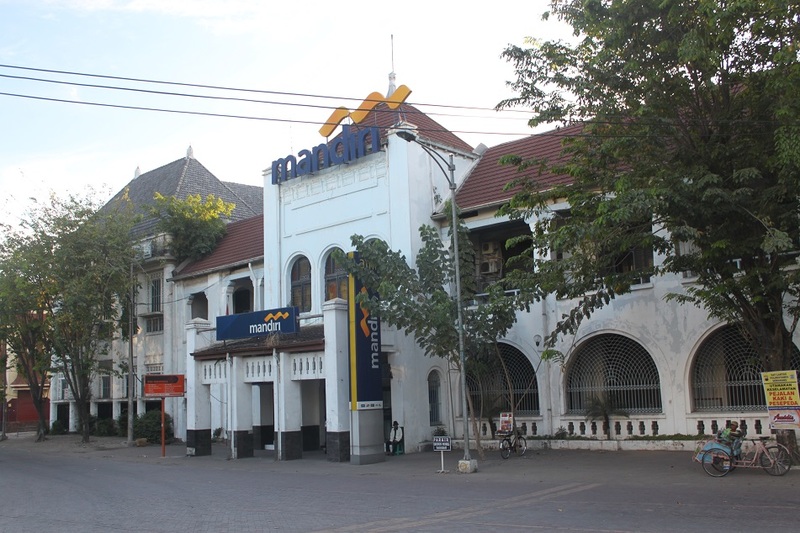 The prestigious Sociëteit de Harmonie called the present-day Bank Mandiri’s branch their home back in 1756. 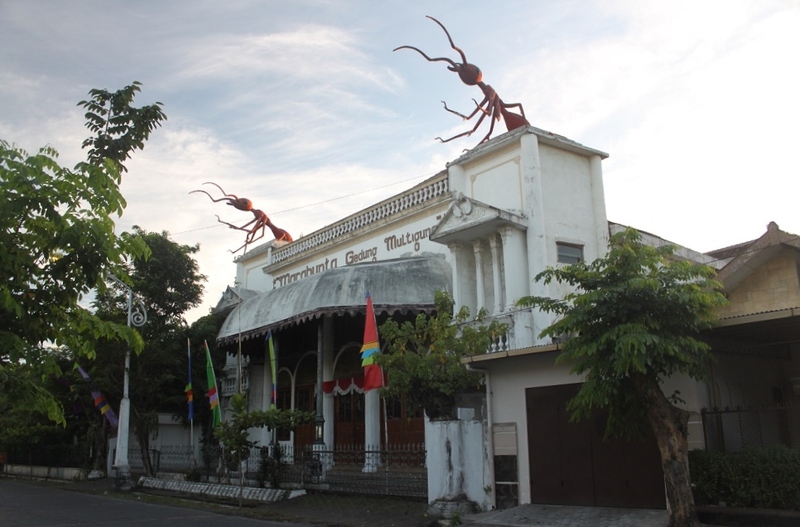 A much more conspicuous building called Marabunta Theater, after the two giant army ants perched on top of the structure, was the place where one of the most famous spies during World War I, Mata Hari, performed. 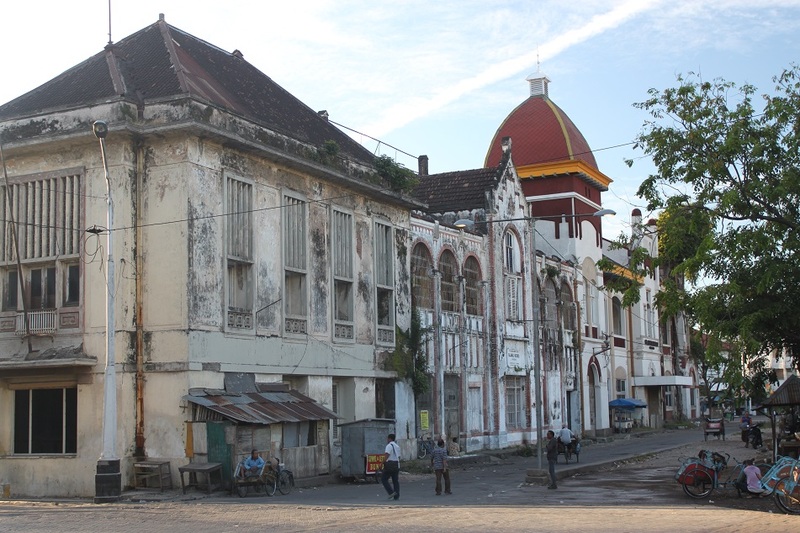 Walking further north towards the perimeter of Kota Lama, Semarang’s Tawang Central Station stands graciously as the country’s oldest major train station, serving the region since 1868. Today Tawang is still very much an important train station connecting cities in Java, but the pulse of Kota Lama, unfortunately, is starting to fade. I agree with James, please continue to update and photograph, its amazing how much influence you have on preserving your areas history right now. Thanks for the support Michael! 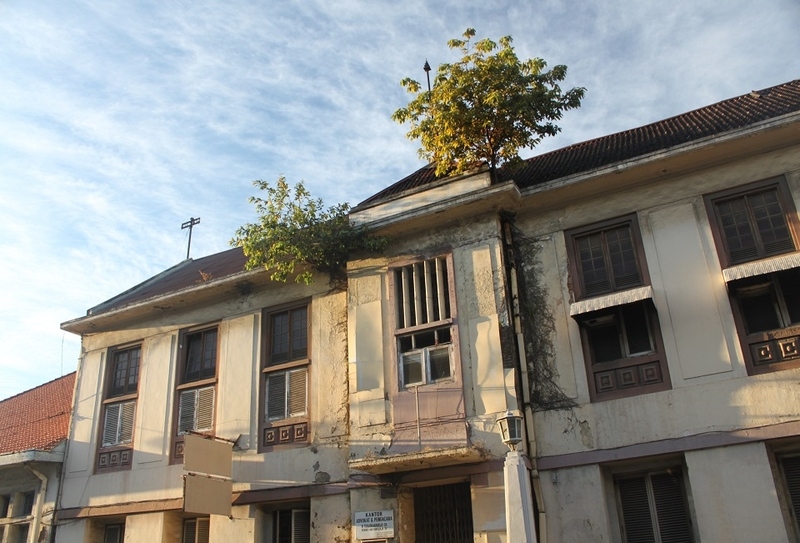 I guess today more and more people are becoming more aware of the importance to preserve colonial buildings. Not only because they’re beautiful, but also because of the benefits they bring to the society; education and tourism to name some. Great set of shots, such a diverse style of buildings and I found myself drawn more to the dilapidated ones…they show character. Super series, beautiful shots. Thanks Randall! I really appreciate your encouraging comment! It was a nice and clear morning so I felt the urge to go and take some photographs of the quarter I’m quite familiar with but hadn’t explored properly. These photos are beautiful, the warm light really adds to the character of these buildings. Great work. Lovely post! I’ve had such a wonderful time meeting my family in Semarang. Both of us come from different sides of the world, but our ancestors are the same: Javanese and Dutch. We come from the same lineage. I could meet my real live family thanks to meeting my ancestors spirits first! They showed me the way back home. Furthermore I can really recommend Ikan Bakar Cianjur in the old courthouse. My Javanese cousin who’s an architect who worked on this building took us there. The food is great and the atmosphere too. He hopes all of the above buidlings will be renovated. Thanks for posting these pix so orderly! Thanks a lot Jaden! Actually I did try Ikan Bakar Cianjur when I went there last year, and as you said, the food was great! 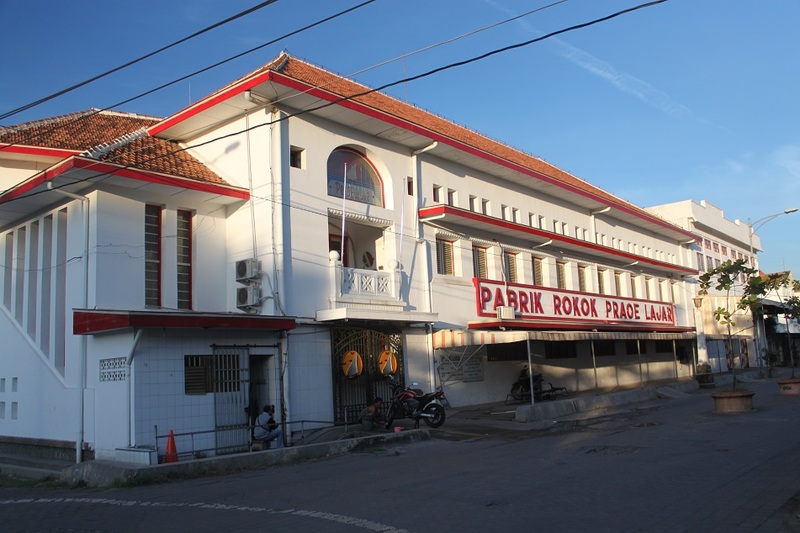 It’s really interesting to learn how everything around you seems to be related to Semarang or Kota Lama itself, not only the history of your family but also the fact that your cousin worked on one of the buildings. I’ve heard that the government has been trying to renovate most of the buildings in Kota Lama, but improvements seem to move at a snail’s pace. Well, who knows what the future will bring. Restoring the glory of some of these buildings seems right, much better than again creating another soulless shopping mall. My memory, as well as my families, actually merely goes back to getting to know Kota Lama in these present times. Our ancestors come from Jateng. Blitar and other places. Bondowoso. Personally I’ve been more Yogyabound. I have this amazing love for trees. Turns out my greatgrandfather used to be a planter. He wrote and held lectures about the importance of preserving trees. Thinking about Dieng Plateau. That must have been around 1909. His elder brothers were still hunting macan these times. Me and my cousins wouldn’t mind at all if there would be a TimeMachine. Luckily there are still places where time has stood still. Possibly even in the shade of trees. It’s great you share your creativity, it helps me feeling lively about my relatives from bygone days. Thank you, maturnuwun! Ahh, same here. I feel really intimate with Jogja because my ancestors were from there. It’s really nice to know that even back then there were people, like your great grandfather, who cared so much about the environment. It’s really my pleasure to be able to bring some nice memories to you and your visit to Indonesia. Great post showcasing the fading glory of your hometown Bama! The buildings, even the decaying ones look gorgeous! The reflections of the train station, and the light in the quiet alleys of Kota lama are particularly eye catching.. Thanks a lot Madhu! The last time I went to Semarang I realized that I hadn’t taken decent pictures of the old quarter despite passing through it so many times. When I went there the streets and alleys were rather empty and I often found myself the only person walking down the alleys. It was a nice morning stroll indeed. I love the different styles of architecture! beautiful post! Thanks Rony! This part of my hometown is indeed a very beautiful place to walk around. You’re right Halim. It’s pretty much the most interesting quarter of the city. 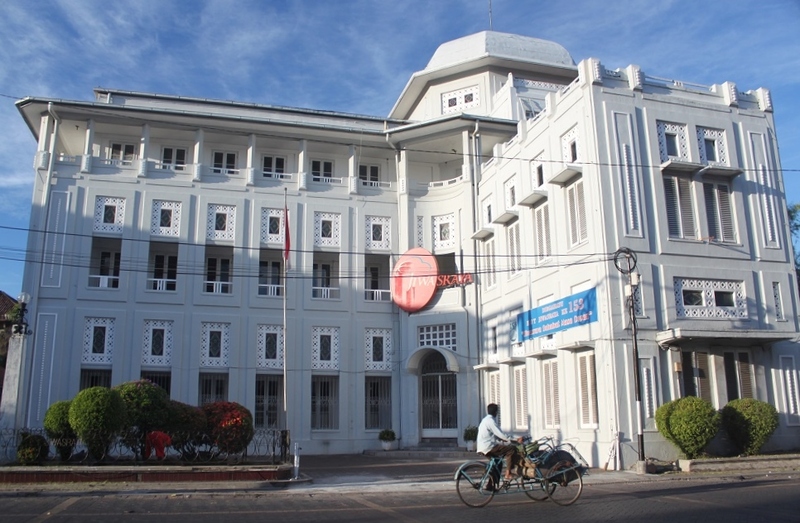 Semarang without Kota Lama would only become a culinary adventure destination. Unfortunately I’m back in Jakarta now. From the name (#KunoKiniNanti) it sounds like a very interesting event to attend. Maybe next time. 🙂 Thanks for the info! I am beginning to think thats landscape is not really your most favorite subject but architecture. What an interesting colonial architectures. I have to say I found charm in those decaying beauties. I found them more endearing than the ones that are well-preseved. Maybe because they evoke more sense of nostalgia? Lovely images as always. Thanks for your encouraging comment Marisol! As always. You’re right, old and decaying buildings are somewhat more ‘photogenic’ than those which are well-preserved. Such a beautiful irony, isn’t it? These are unique heritage structures and it would be a real shame to just let them rot. I agree, there’s more photographic appeal in decaying buildings but given its urban location and proximity to people, it would be wise to ensure its structural integrity and keep anyone from getting potentially harmed. 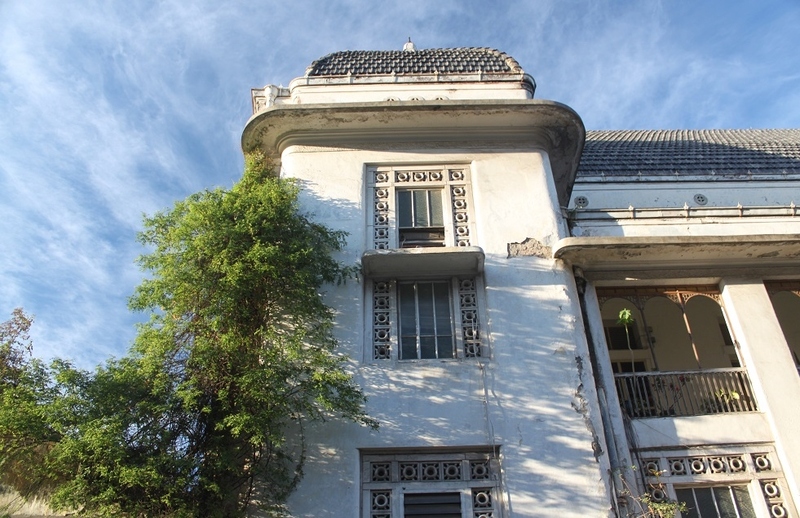 There has been pros and cons to the preservation of historical buildings. Some people think that decaying buildings look somewhat more appealing and mysterious than those which are well-maintained. But I guess we all agree that decaying or not, it’s way better to have them around, instead of letting them fall apart. Thanks Dennis! Thanks Terri! 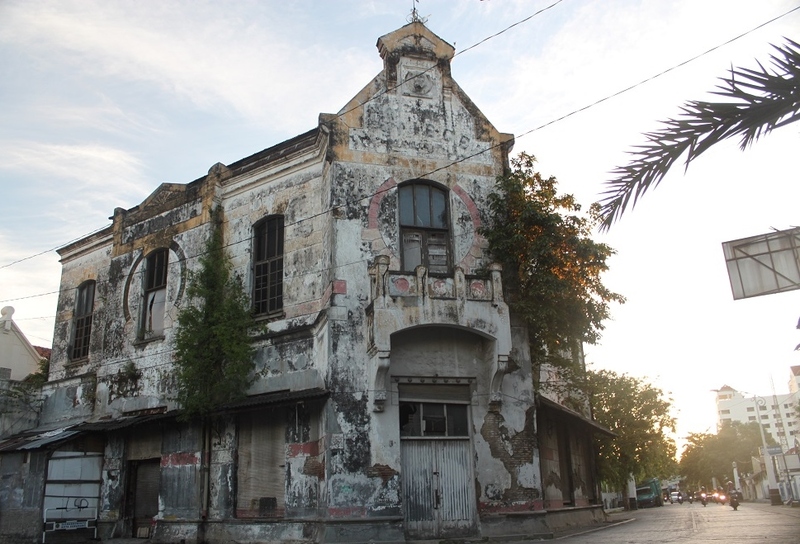 What I heard was that the local government has been doing some preservation works to Kota Lama, but as we can see it’s still far from over. 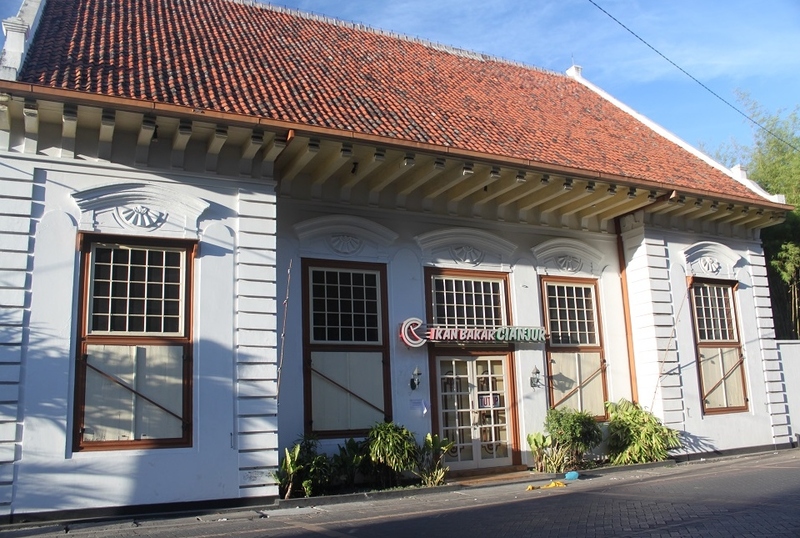 Semarang was once a thriving commercial center during colonial time, hence the beautiful Dutch buildings. But now I feel like it’s the most laid back provincial capital on the island of Java, compared to the much more crowded and busy Jakarta, Surabaya and Bandung. This is a reminder that there’s so much of my own country I haven’t explored. I don’t even remember the last time I was in Semarang. It takes a good eye to see the history and the beauty behind these buildings. Sometimes you see them so often they quickly become simply part of the background. These are absolutely beautiful! I’m so glad that you’re preserving them – at least on film. I’m inspired to get out and walk my neighborhood. While we don’t have such beautiful buildings as these, I still see the value of capturing on film what I do have. Thank you again for allowing me to travel to your area. Your inspiring blog has been nominated for: The Versatile Blogger Award! You’ve been nominated by: Me! Visit my page to see your blog’s nomination. Scroll to the bottom! …and thanks for the great reads. been to semarang like an ages ago, in fact i don’t remember anything about this city, probably i have to set up an itinerary to visit once i m in Indonesia. Txs for bring up this post, bama. My pleasure! Yes, you need to go to Semarang the next time you set foot on Indonesia again. 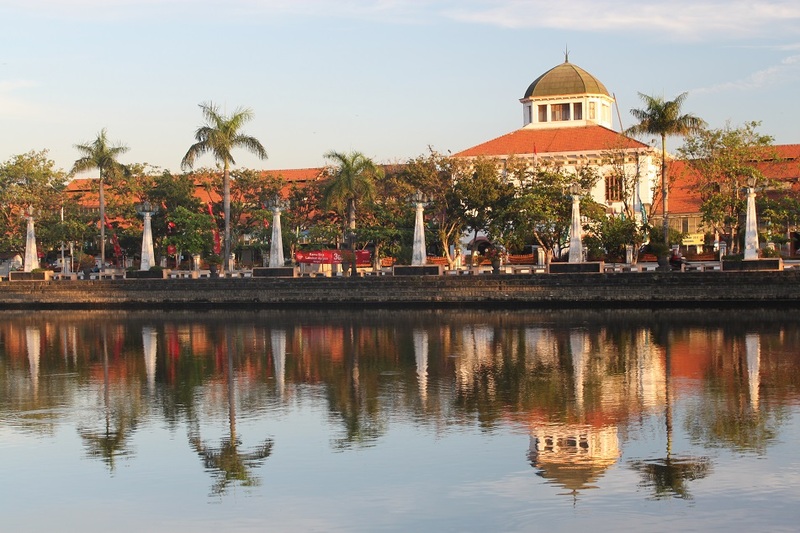 Apart from its culinary treats, it has a wealth of beautiful colonial buildings. Quite a sight, I must say. It’s a nice place to walk around, indeed. But you have to hold your breath when you’re near the artificial lake right across the train station. It can smell really bad sometimes. 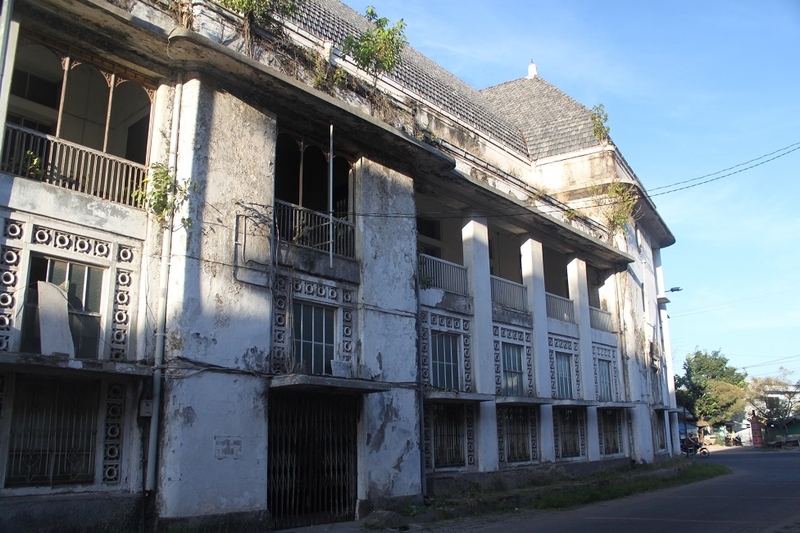 I do hope more efforts will be taken to preserve this gem of Semarang. Actually that’s what Ahok has in mind for Jakarta’s Kota Tua, or at least that’s what I read from the media. He said the only way to preserve an old quarter is by ‘commercializing’ it so both business and tourists come, instead of squatters. Pingback: Places of Worship: Beyond the Structure | What an Amazing World! Ah so beautiful, I hope the government put their concerns to preserved those buildings and the area. I remember when I was a kid, this area often got flood in the rain season. I think that is one of their big homework as well. Preserving old buildings not only makes the city look beautiful, but also brings more tourists. That’s good for everyone, right? We all surely hope those buildings will see better days ahead.